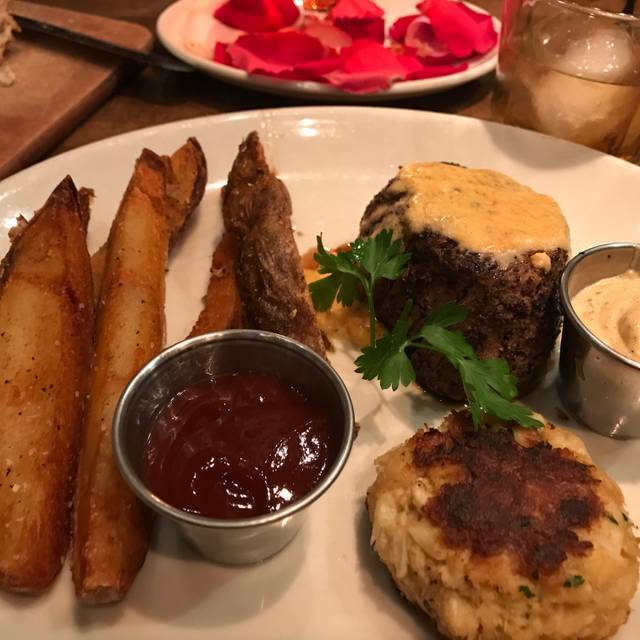 For many years, guests have come to know and love Malone’s Steakhouses. 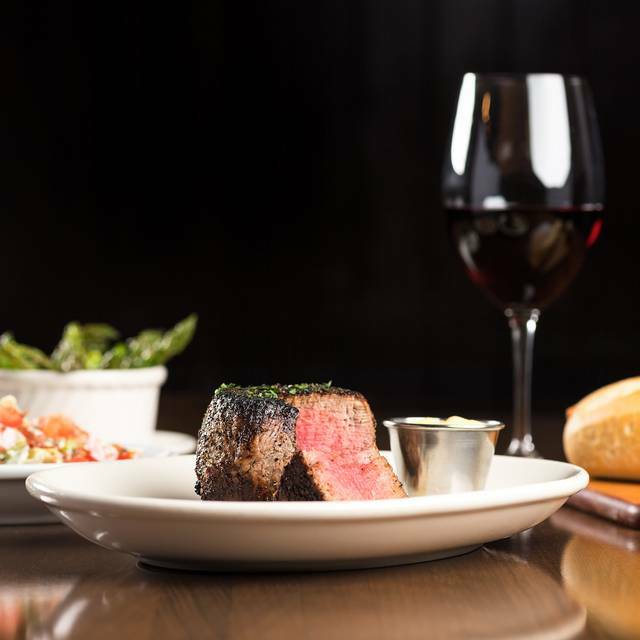 Providing a comfortable setting, exceptional service and a variety of menu items including USDA Prime Beef, Malone’s strives to stand out as the best-of-the-best. It has become a place where meals and milestones are shared, and guests feel like family. Offering unique atmospheres to accommodate parties large and small, Malone's PRIME Events & Receptions is the perfect choice for any special occasion. With a variety of room and décor options, lighting, state-of-the-art audio-visual equipment and a plethora of delicious menu options, each client will be able to create a personal and memorable event for their guests. From informal business meetings to corporate events, birthdays to wedding receptions and each of life’s special moments in between, every occasion should be celebrated. Contact our team to begin planning your special event at 859-977-2602. My filet was too salty, couldn't eat it all. I also had bad stomach cramps afterward. So did others in my party. Waitress was lovely but I got the wrong side dish. Ordered Caesar salad with extra dressing on side. Got a salad with no dressing and a small cup of dressing on the side. Steak was very thin (filet) and not center cut. Good taste and was cooked correctly. Our first time at the Palomar location - the others offer higher quality and better service starting from the front door. For example, when my party of four walked-in the hostess never said a word - just looked at us! I thought, wow sorry we're bothering you. So it began: We had to change tables b/c ours had no lighting (I'm not kidding). Then, no round ice for cocktails. My steak was rare and my friend's was med rare, even though we ordered them the other way round. The baked potato was below par. Other than those issues was did get our $400 worth, but it was good and not great. 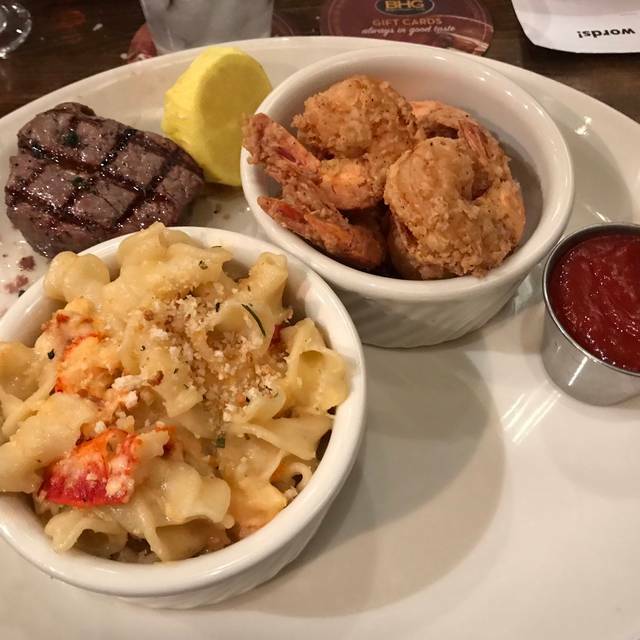 We usually have a good time, with good food and good service, which is why Malone's is our favorite place to eat. This time the background music was louder than usual. We had more trouble hearing the conversation at our own table. We had a middle of the afternoon meal, so both had salads. I had the Malone’s Steakhouse salad and my husband had a salad with grilled chicken and apples. Both were excellent, my steak was cooked perfectly and the asparagus was crisp tender. Our waiter, Ben was very good. There when you needed something but not hovering. Would highly recommend Malone’s for food and service! Steaks and salads were extremely good. Wait time was less than 10 minutes (we had reservations well in advance). Service was spotty....the waitress said someone would bring bread and salads...no one came. When the waitress arrived again with drinks, we told her and she apologized and immediately brought bread and salads. Later another bus boy arrived to take our dishes and we said we were waiting for more salads. He said nothing and walked away. Original reservation was for 5:30pm, we needed to push reservation back to 6:00 and restaurant was very accommodating. Disappointed with the service. Rushed us throughout the meal. Ordered my steak Medium and it came out medium well to well, no pink at all. First time visiting Malone's. I've heard so much about the restaurants, great food, great service but I was underwhelmed by our experience. I'll give it another try, maybe just an off night. Was stuck in a corner booth that was a tight fit and landlocked by a party of 20. Was very hard to get in and out of our spot without running into someone from the party table. Food is amazing. My wife and I had a fabulous dinner at Malone’s Prime Beef Steakhouse-Palomar. The atmosphere was great, relaxed, and not too loud. We were given a really nice booth. Our waiter and his helper were very polite and knowledgeable. We were able to pick out exactly the right dishes for our tastes with their help. The Malbec wine was superb. We look forward to visiting Lexington again and dining at Malone’s Prime Beef Steakhouse-Palomar. My wife’s birthday was amazing. Logan was an excellent waiter, and the rest of the staff were friendly and helpful. It was a bit noisy, but when you’re in UK country it’s to be expected. We will return in the future. A Lexington staple reliable, great experience every time. I absolutely love Malone’s and we make the hour drive at least every other week. We typically eat at the Tates Creek restaurant. Decided to try Palomar and we didn’t love it. It was so loud we couldn’t hear one another talk at our table, the food was mediocre at best. The server was very nice. It was just too crowded with little space to walk and the noise level from the amount of people crammed in, made the experience bad. The steak was amazing. As far as appetizers and side items they were not comparable to other locations. Never disappoints! Seriously the best food ever and great staff! 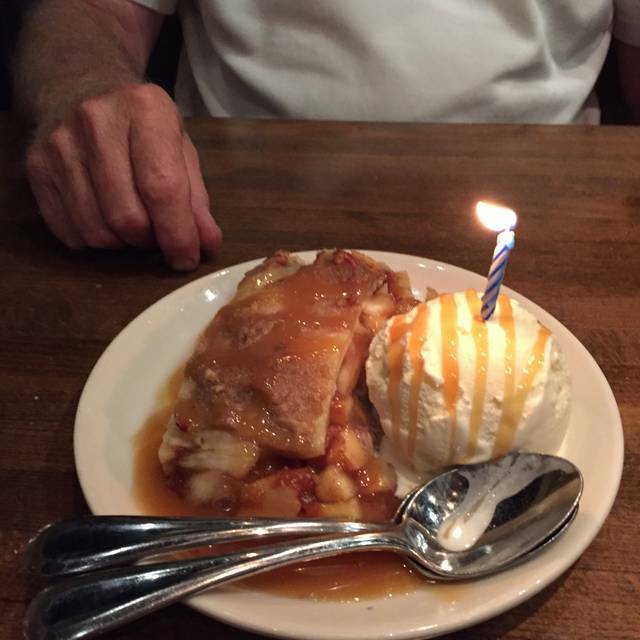 Malone's is our absolutely favorite spot to celebrate a special occasion. We never have a complaint about anything from service to food. 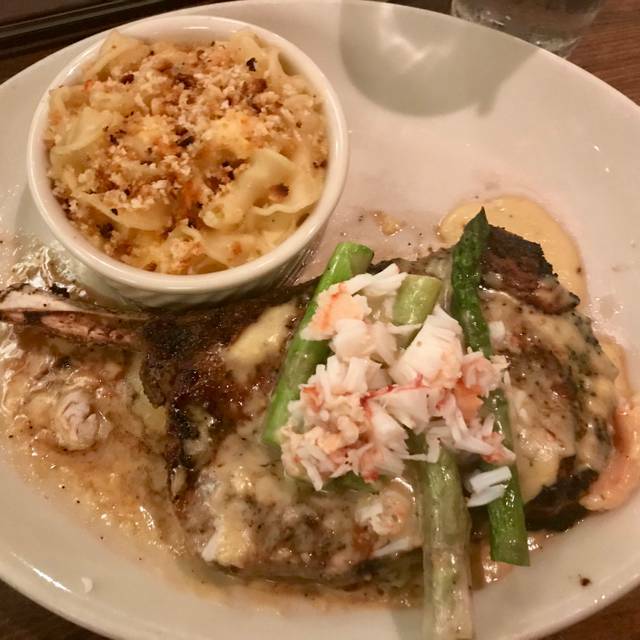 Do yourself a favor and splurge on the Randall Cobb Steak...it is unbelievably good! We chose Malone’s At Palomar to celebrate my birthday. 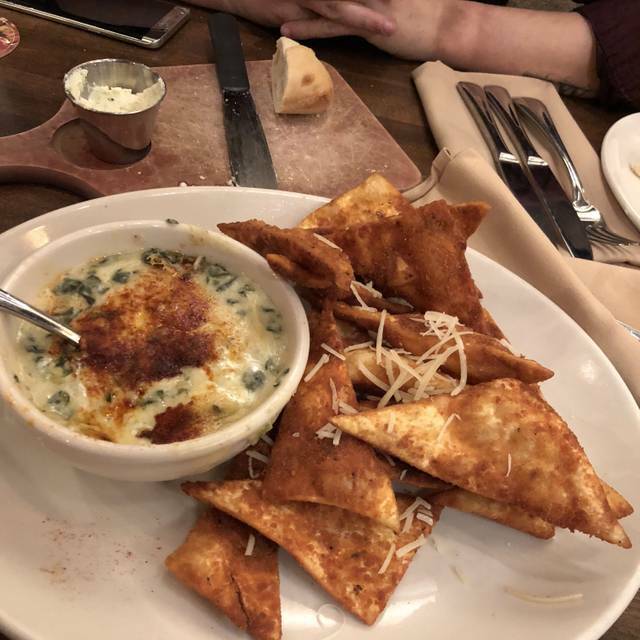 It’s our favorite go-to place for an excellent dinner. I am ALWAYS impressed with the servers, they are efficient and seem to anticipate your needs. Our server,Hunter, was cheerful, polite, helpful and personable. Our meal was perfect! And then there’s the decadent “World’s Best Dessert”! Food was great. Waitress wasn’t the best, but the gentleman helping her was awesome. We had out of town visitors with various dietary restrictions. 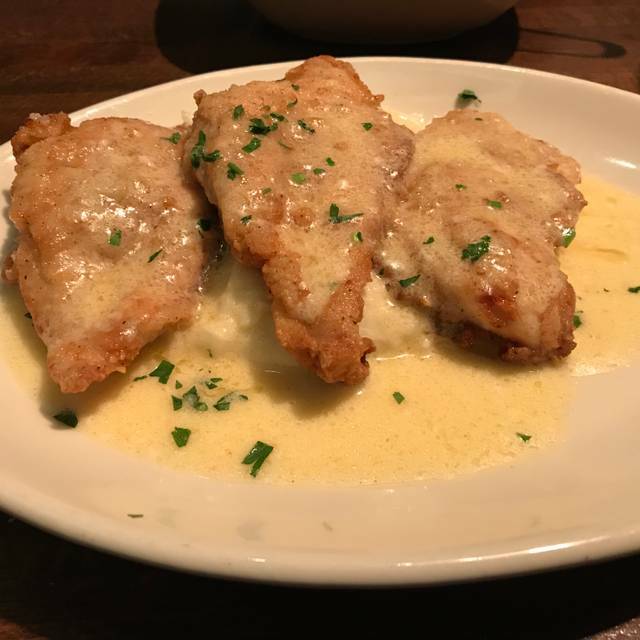 Malone’s is consistently excellent in all phases of dining out and has such variety in their menu. 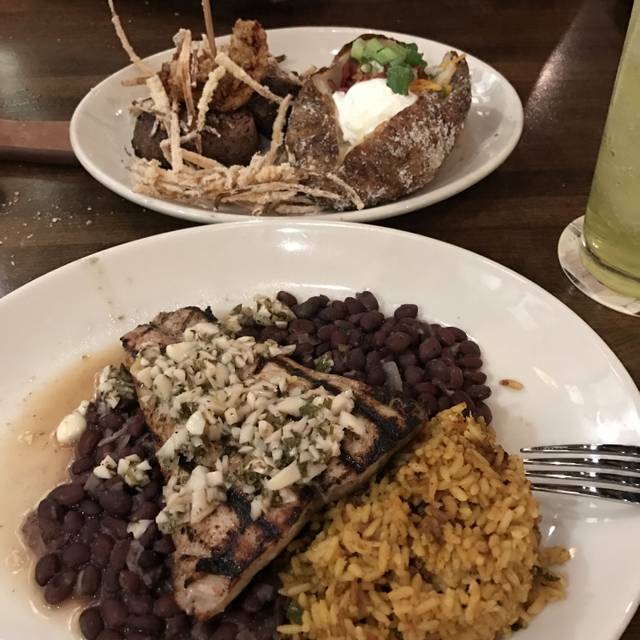 You can always count on a good meal. Very enjoyable experience for all of us. I used to love Malone's and would use it often to host guests for work (I'm in development). I am hesitant to do that now. On a recent visit, the food was so salty that my guests tried to wash off their mushrooms in their drinking water, and no one could eat the calamari. Also, the noise level (including the music) is so loud that you can't hear someone across the table from you. Recently I decided to give it another try and brought guests again. The calamari was salty and cold but not as bad as before. There is a fine line between good service and too much attention, and I definitely felt that line was crossed. We had a table for 5 and I started to feel that we were being rushed in order to clear our table. I want to like Malone's and continue to use it for work, but I have been using Tony's recently and will probably start using Jeff Ruby's too. Malone's is always a favorite but must say was not thrilled with our experience Tuesday evening. I had out of town family in and thought this choice would be a big hit. Food was very good as usual except for my sister had to send her filet back as it was cooked medium rare at best and she ordered medium. The rest of the entrees were delicious. Service was probably the poorest I've ever experienced at Malone's though. Waiter was not overly friendly and service slow getting drinks and food. I'm use to having several staff helping with a table of 9 and no one seemed to check on us..had to flag waiter for refills on drinks & to get steak returned to kitchen. Just not the normal Malone's experience. Always a sure bet when choosing a location for business dinners!! Always love Malone’s. The boy helping our waitress was very rude and we had asked our waitress for bread and butter to take home and the she asked the boy that was assisting her to get it and he did but forgot the butter so we asked the waitress about it and the joy came and literally threw the little container of butter on the table and it slid off the table and my wife grabbed it. We just stared at each other like wow!!! Very rude and stuff like this makes me not want to give my business there again!!! Food and service were excellent. Our server, Houston, was efficient, friendly, and attentive without being intrusive. 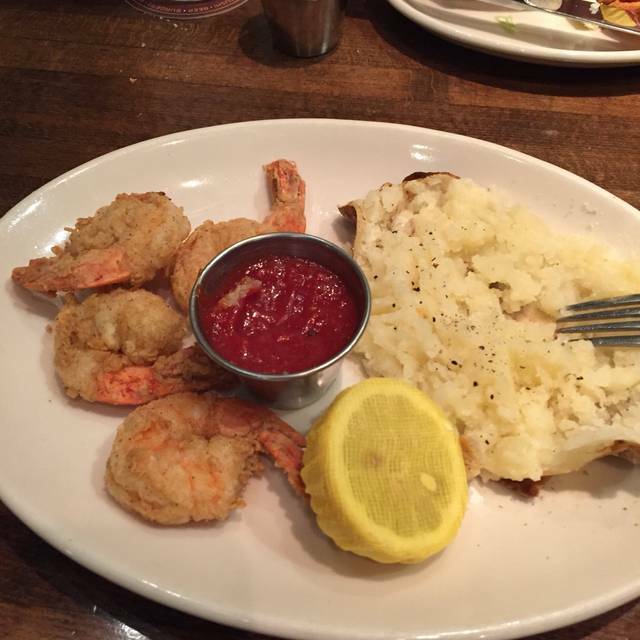 Malone’s can always be counted on for consistency and a great dining experience. Wonderful service and the best steak I have had in years! I know we'll be going again soon. Great steak, great place. Table was ready on arrival, service perfect. While the food was excellent, for the price you pay I expected better service. I have been to Malone's several times and service is something that has never been a problem. Not the case this time. Disappointing. I have never been disappointed in the quality of food at Malone's. Always a pleasure spending a meal with Malone’s!! The parking lot is always full when Malone's is open, for good reason. The service, menu, and food are consistently excellent here, and we go regularly. Waiters are solicitous and well-trained. I have several favorites here. Of course the Lexingtonian salad is famous because it is delicious. The bread they bring to the table is delicious as well. My favorite entrees are Coach Cal's Chicken and the Grilled Atlantic salmon, medium rare with the dill-icios sauce! My fellow diners all enjoyed their meals of various cuts of steak, which Malone's is known for. This is where we bring folks for a never-fail meal.